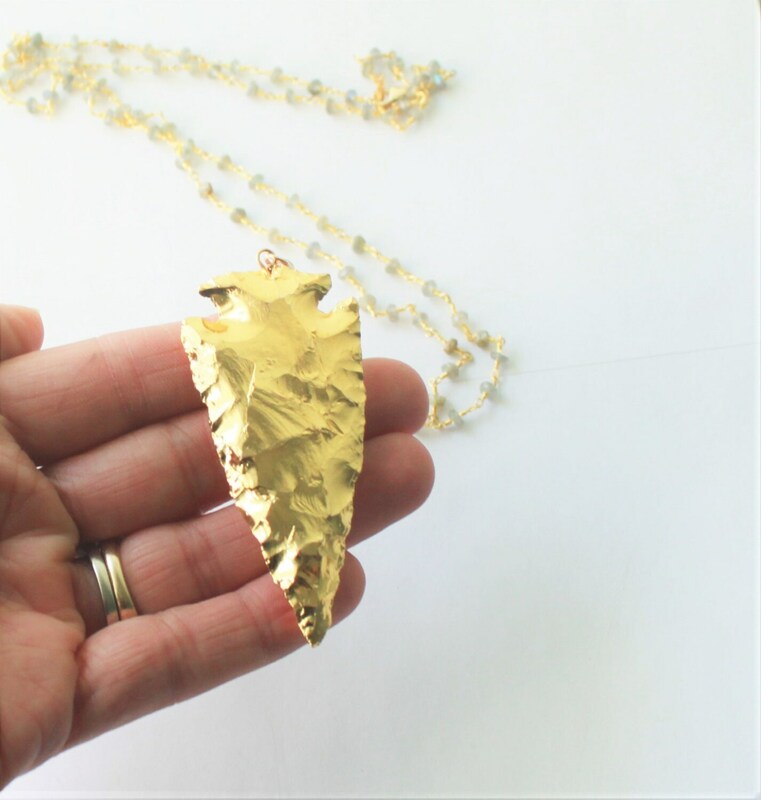 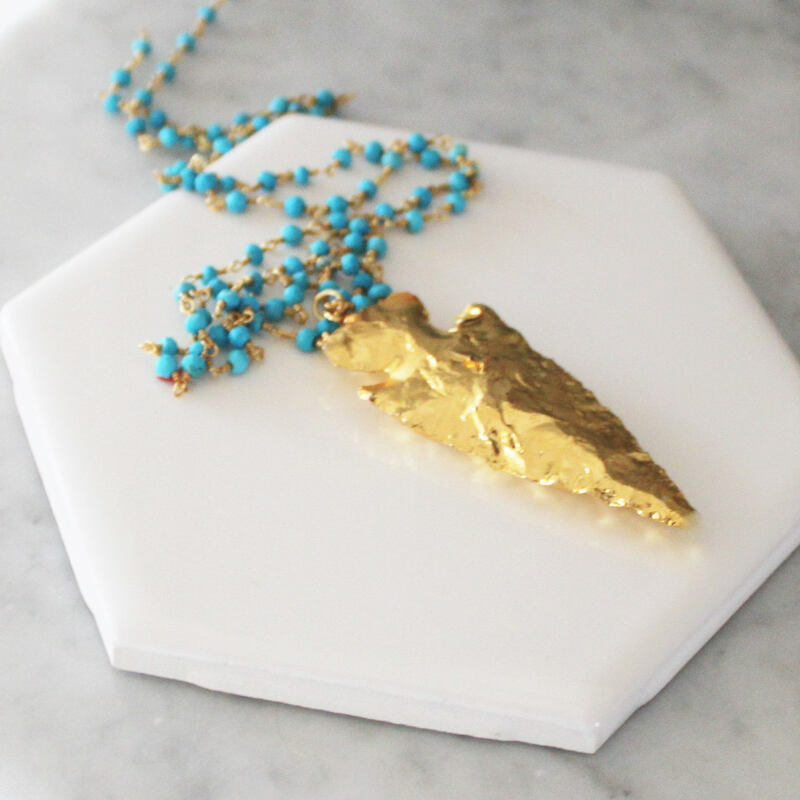 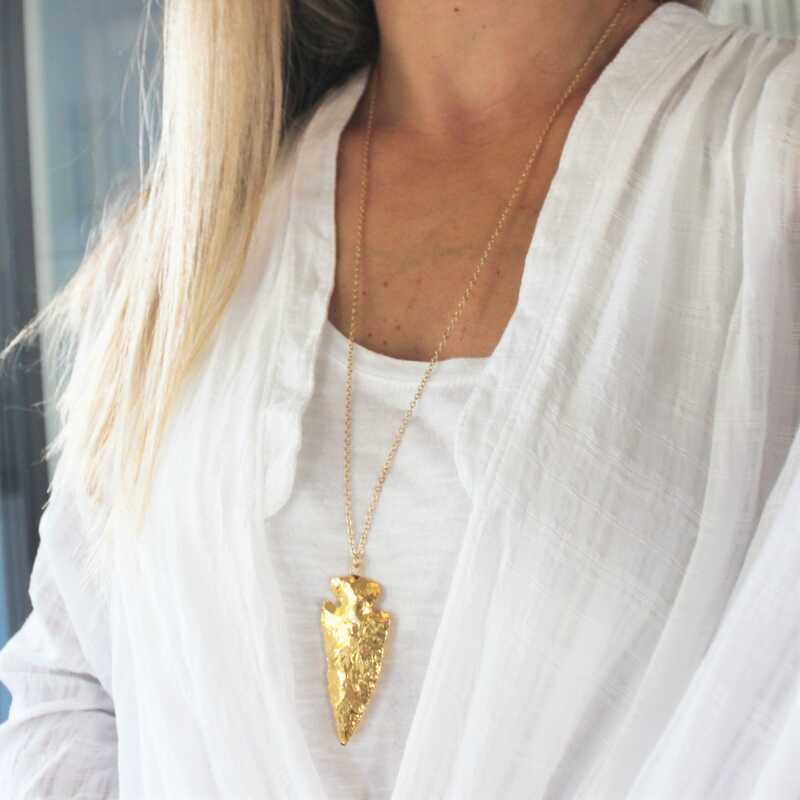 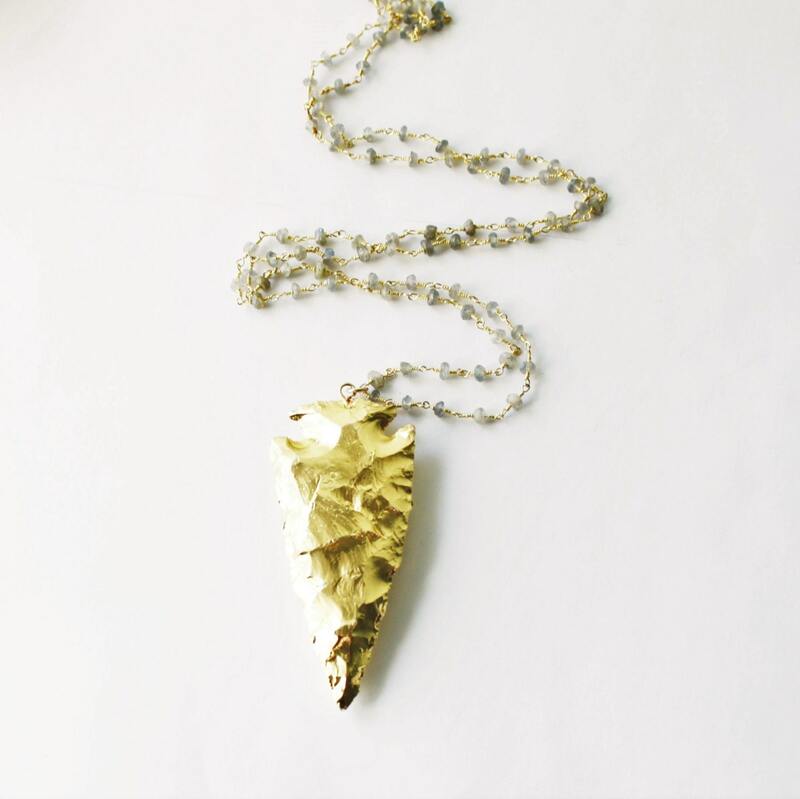 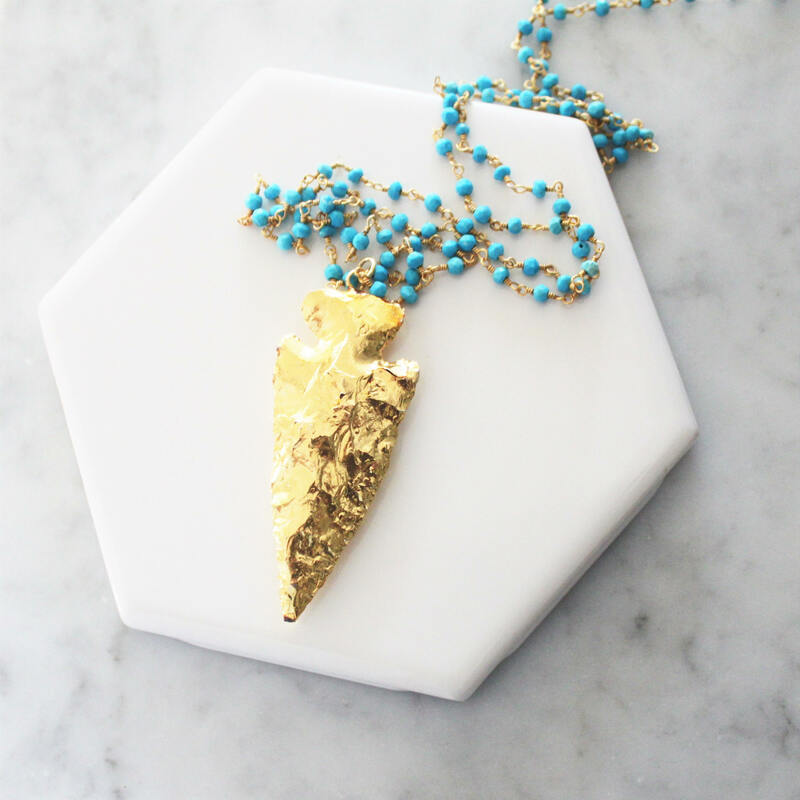 This Gold Arrowhead Long Necklace is the perfect statement necklace, a touch of gold and your choice of chain this necklace goes from tee shirts to dresses. 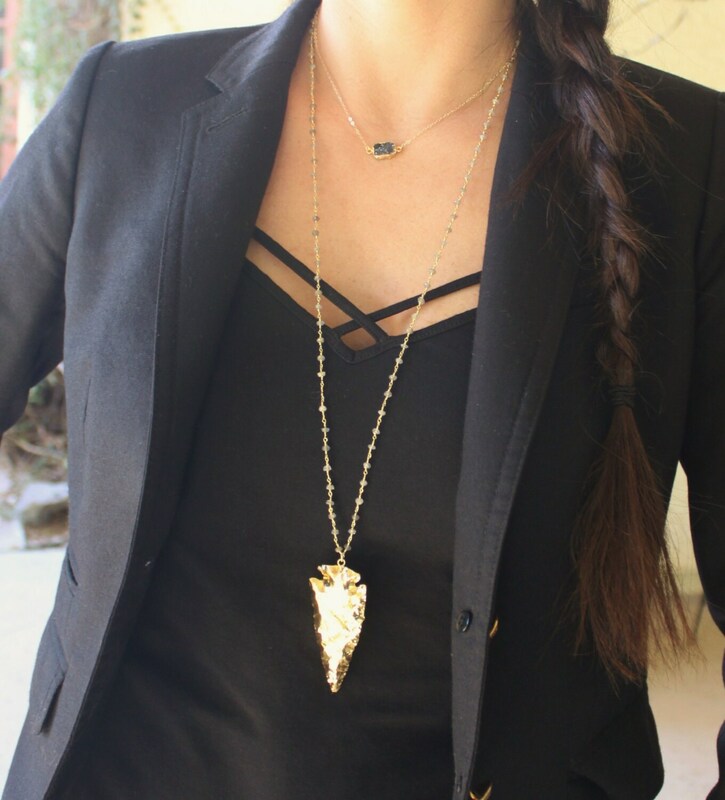 --14kt gold filled link chain or your choice of gold plated rosary chain. 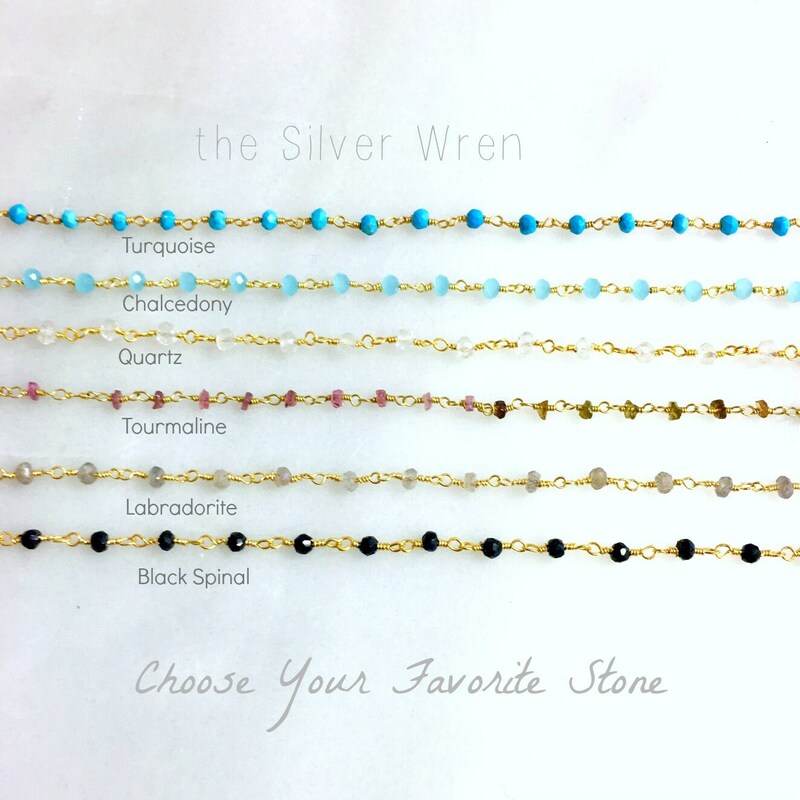 Choose 28, 30, or 32 inches.